Hello and welcome back to another update of the Forgotten Hope Mod. First of all we have an offer for all community websites. If your page wishes to subscribe to our newsletter, keeping you informed of when news updates will be released, write an email to BUG$. 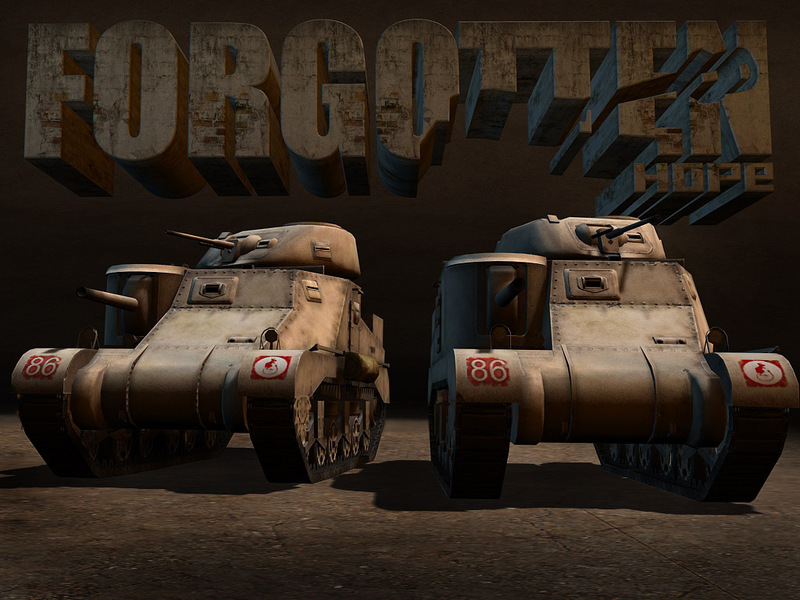 Today's item is an American tank, which you will find throughout the North African Theater in Forgotten Hope 2. 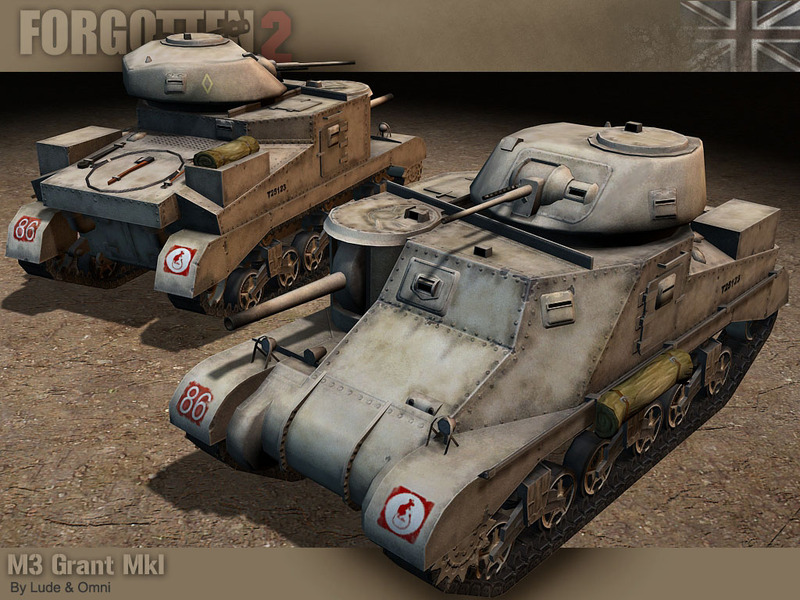 But before you wonder why we are showing an American vehicle despite the fact we said that the first release will feature the British and German forces only, give us a chance to explain. The British forces had a major problem in the early stages of the war - a grave shortage of tanks. The solution was to ask the USA if they would help out by producing British tanks. But as the National Defense Advisory Committee felt that the British would soon be defeated, they refused. So there was only one option left: The British had to buy American tanks. In October 1940 the first orders were placed. A little later 2 versions of the M3 were delivered to the British Army. The standard M3, called 'Lee', and the slightly modified version with the radio in the turret instead of in the hull with a cast turret, named the 'Grant'. The latter version was sent to North Africa and will see action within the first release of Forgotten Hope 2. The first 200 Grants were delivered in early 1942 and fought in the battle of Gazala during May 1942 under the command of the 4th Armoured Brigade. In the near future you will get the chance to take command of this tank "produced" by our American assembly line factory workers Lude and OMNI. That's all for this week folks. Feel welcome to Visit our public forums to discuss this update. And if you enjoyed this news update don't forget to give us a visit next time when it is time to once again say, "Hello and welcome back to another update of the Forgotten Hope Mod".